The second is that the return for Cousins sure seems brutally low – Hield has looked like a nice piece at times this season, but he’s averaging less than 9 points on less than 40% shooting this season in over 20 minutes a game. 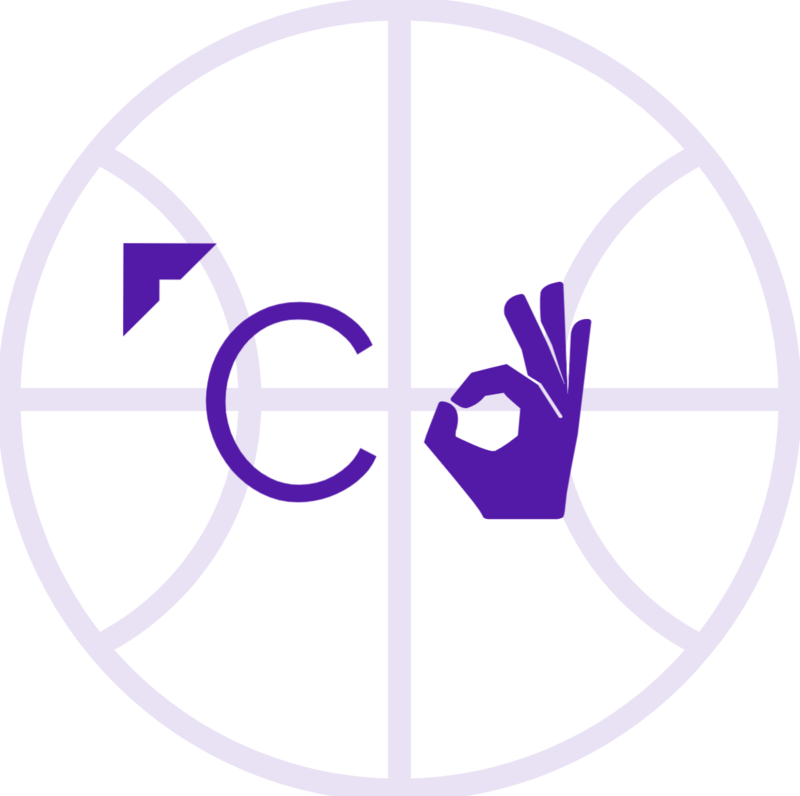 In fact, Demarcus Cousins has actually hit more threes this season. Tyreke Evans started his career coincidentally in Sacramento with a Rookie of the Year award, but injuries and an overall decline in performance have made him no more than a throw-in here, and fellow trade piece Langston Galloway may simply be cut. Buddy Hield (right) is the cornerstone of this deal for the Kings. So why did the Kings make this move? In short, they wanted a culture change and feared that Cousins would leave Sacramento in free agency in 2018. However, those perfectly logical reasons aren’t what makes seemingly everyone hate this trade for the Kings, but the fact that they received so little in return for a franchise cornerstone still on the right side of 27 years old. You can’t really quantify how little the Kings’ return is without first quantifying what they’re giving up – (at least) a year and a half of Cousins. The Pelicans will have a fearsome frontcourt that might be the best since the San Antonio Spurs’ days of Tim Duncan and David Robertson – both Cousins and Anthony Davis rank top 15 in ESPN’s Wins Above Replacement and are debatably the two best big men in the entire NBA (the stat ranks them 3rd and 2nd respectively after Utah’s Rudy Gobert). As a matter of fact, to put the dominance of this new 4/5 combination in perspective, Cousins and Davis are the only two players in basketball to tally at least 6,000 points and 2,500 rebounds since 2013-2014. 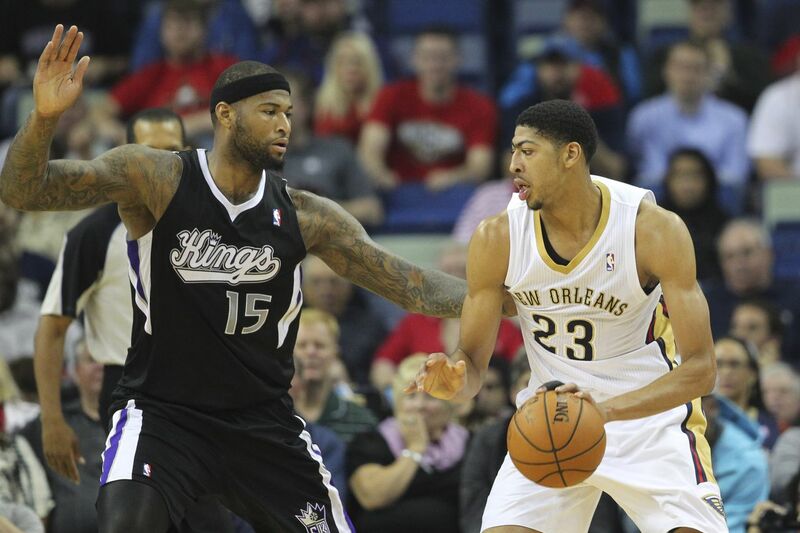 Cousins (left) and Davis have debatably been the two best NBA big men since 2013 – both are under 27. It’s hard to believe the Kings couldn’t find a way to build around a player like Cousins, whose advanced metrics have backed his box score dominance, but it’s true. As their announcer Grand Napear tweeted, Sacramento’s wins each season since Cousins arrived have been 24, 22, 28, 28, 29, 33 and 24 – 0 playoff appearances. But is Cousins to blame, or is the front office? With all of the terrible seasons come high draft picks, and Sacramento has picked 7th, 5th, 7th, 8th, 6th, and 8th in those seasons since their center’s arrival. Bismack Biyombo (7th, 2011): traded for 10th overall pick Jimmer Fredette (out of the NBA this season at age 27 after averaging 6 points per game in 5 seasons). He’s since signed a $72 million dollar deal as a 24-year-old defensive stopper and rebounder. Thomas Robinson (5th, 2012): traded 51 games into his first season after averaging fewer than 5 points and 5 rebounds per game. Ben McLemore (7th, 2013): currently averaging fewer than 7 points per game in his fourth NBA season with just 18 minutes per game. Nik Stauskas (8th, 2014): traded after his first season in Sacramento. He’s improved his points per game, field goal percentage, and three point percentage each season since and is still 23 years old. Willie Cauley-Stein (6th, 2015): a head-scratcher in the first place as an awkward fit with Cousins, he will now be expected to play a much larger role (less than 6 points and 3 rebounds per game this year despite playing in 50 games). Marquese Chriss (8th, 2016): traded for picks 13 (Georgios Papagiannis has averaged 4.5 minutes in 4 games for Sacramento this season) and 28 (Skal Labissiere has averaged 6.5 minutes in 6 games). Chriss has showed solid potential in Phoenix for a 19-year old, with 15 points and 7 rebounds per 36 minutes (18.8 minutes per game). It’s almost mind-boggling how awful the Kings’ front office has been. Forget the players Sacramento could have drafted instead of the aforementioned failures; every team has their coulda-woulda-shouldas. But for a team with so many consecutive failures, all in the top 10 picks, it’s hard to call coincidence. Their personnel blunders extend far beyond the draft, too – consider that the Kings have both traded Isaiah Thomas (currently averaging 30 points and 7 assists on 47% shooting in Boston at age 28) for a trade exception and Alex Oriakhi (I hadn’t heard of him either), and straight-up waived Hassan Whiteside (17 points, 14 rebounds, and 2 blocks a game for Miami at age 27), in the time since drafting DeMarcus Cousins. Parting with now-All Star guard Isaiah Thomas (right) is one of many decisions made at the top by the Kings that can’t be blamed on the attitude of Cousins. Where does that leave the Kings’ team-building plan? They have at least $12 million a year owed to both Arron Afflalo (31 years old) and Rudy Gay (30) until 2018. Darren Collison and Ty Lawson are both 29, and Kosta Koufos (signed through 2019) is 27. Sacramento had better hope Hield is the player they think he is, especially because it’s so hard to believe another contending team like the Boston Celtics (it’s no secret they have oodles of assets needing consolidation, and could compete this year with another big piece) or Washington Wizards weren’t willing to part with more for Cousins. For the Pelicans, this trade will likely be as much a steal as it was a mistake for Sacramento. As previously outlined, they now have debatably the league’s two best big men, and can allot their minutes such that they always have a superstar center on the court – huge for any team on both ends over the course of a game. They didn’t give up much, and though Cousins has the potential to leave after next season, it’s a risk that New Orleans was more than willing to take. They have a shot at the playoffs this season (where they could actually be a tough first-round matchup for Golden State in terms of paint presence), but more likely will be shooting to join the West’s elite next season, after spending the rest of this season gelling the two stars together, to show Cousins that they are a team that can compete long-term. The Pelicans still have a lot of decisions to make, though, as they don’t have many other high-potential young players other than Davis, who is mind-bogglingly still 23. 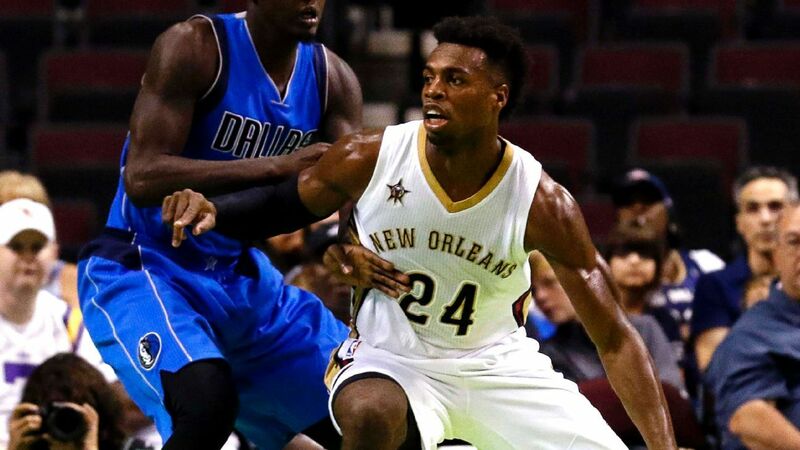 This offseason, Jrue Holiday and Omri Casspi will come off the books, and New Orleans will be tasked with building around their two franchise players in a way that complements both of their skills. Perhaps Chris Paul could even be enticed to return to the team that drafted him – but that’s all far-out speculation. Chris Paul will be one of many free agents that could take a long look at a Davis-/Cousins-led Pelicans team this offseason. Considering the risks involved, perhaps the most important to the Pelicans is whether these two players will even be able to play well on the same team considering their roles. When the Knicks gave up half their team to pair Carmelo Anthony with Amar’e Stoudemire in 2011, they expected to turn around their franchise with two high-powered superstars – we all know what happened instead, as poor fit and other bad front decisions have put the Knicks into a circus tent here in 2017. Clearly, New Orleans got the better of the Kings in this trade, but it’s no sweep for them, as it could still be difficult to convince Cousins to stay by next free agency period considering their current roster construction. However, with the potential of a truly all-time frontcourt – Anthony Davis finally has a fellow star, and Cousins might finally have the playoffs as a real possibility, any average guard allotment would seem to guarantee the Pelicans are a better team, with a better outlook, today than yesterday. Previous postWhat Just Happened in Flushing? Next postWho Will Win MVP?